What part does prevention play in Spain drug strategy. What are the main prevention approaches used in the country and who do they target? Owing to its geographical position, Spain is one of the countries in the European Union that is most targeted by international drug traffickers, especially for the transit of cannabis resin and cocaine to other European countries. 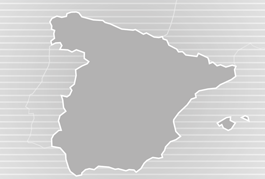 Therefore, actions to discover and dismantle international criminal networks involved in the trafficking of drugs are priorities of the Spanish law enforcement agencies and are carried out through intensifying control in the southern coastal areas and ports for packages of drugs; investigating, discovering and confiscating the proceeds of drug trafficking and money laundering; preventing the distribution of illegal drugs within the country; and fostering international cooperation. In this context, Spain remains one of the European countries reporting large seizures of cocaine and cannabis resin, in terms of both number of seizures and quantities seized. According to information from drug law enforcement agencies, seized cocaine generally originates from Colombia, Bolivia and Peru and arrives in Spain directly or via Central or South American countries by sea. Nearly all cannabis resin seized by the Spanish law enforcement bodies comes directly from Morocco; however, in recent years, the eastern Mediterranean route has emerged for the trafficking of cannabis products, mainly from Morocco. Cannabis is also cultivated in Spain; there are indications that its production has increased since 2009, and is intended to supply local demand as well as being trafficked to other European Union countries. Heroin comes mainly from Pakistan via the Balkan route, and arrives in Spain mainly by air. Historically, synthetic drugs were mainly smuggled into Spain from the Netherlands and Belgium, while in the recent years there have been seizures of MDMA that was produced in France or Andorra; in 2014, there was a significant seizure (of approximately 400 000 units) of MDMA originating in Bulgaria. Overall, the number of drug seizures has increased over the past decade, and cannabis products remain the illicit drugs most frequently seized in Spain. An overall decline in cannabis resin seizures has been noted since 2009; however, the quantity of resin seized has increased since 2010. In 2015, an increase in the quantity of herbal cannabis from large-scale seizures was reported, while the amounts seized in small-scale seizures were lower than in 2014. NB Year of data 2015. Cocaine remains the second most frequently seized illicit drug, although, since 2009, a declining trend in cocaine seizures has been reported. In 2013-15, an increase in the number of heroin seizures, mainly small scale, was noted. The amount of heroin seized also increased over the same period, but this increase was mainly due to large-scale seizures. Spain reported a reduction in large-scale seizures of synthetic stimulants (amphetamines and MDMA) in 2015 compared with 2014. Small-scale seizures of MDMA in 2015 were lower than in 2014, while seizures of amphetamines have gradually increased since 2013. Spain reports mean potency (% of THC) or purity (% or mg per tablet) and average prices for the main illicit drugs. The mean potency for cannabis resin in 2013 was 14.5 % of THC, while for herbal cannabis it was 10.8 % of THC. The mean purity for heroin in 2015 was reported at 33 % and cocaine 42 %. In 2015, the mean price of cannabis resin was around 6 Euro/g, herbal cannabis 5 Euro/g, heroin 58 Euro/g, cocaine – 59 Euro/g, amphetamine 28 Euro/g. The mean price for one MDMA dose was 11 Euro.